Rejoice my brothers, for Apple's next product launch is nigh. 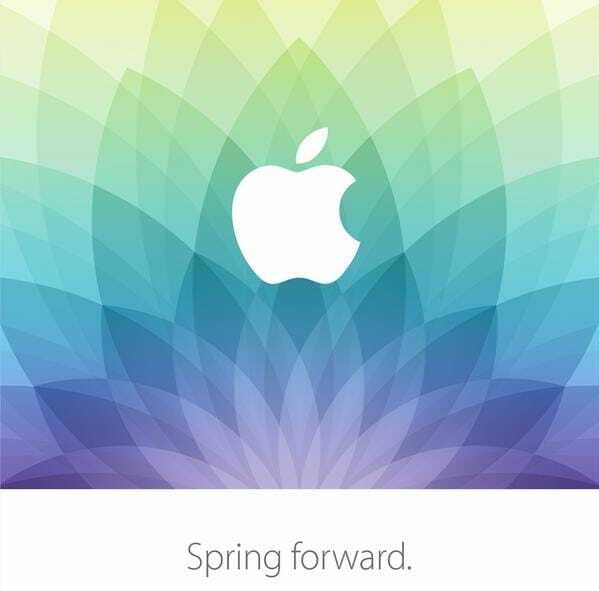 Numerous press sources are reporting that Apple is sending out media invites today for their next launch event on 9 March. Like past events, it's going to be held at the Yerba Buena Center for the Arts in San Francisco, and it will begin at 10 AM. Apple is of course mum on the products they will be launching, but the leading candidates for guest of honor are the refreshed Macbook Air, the iPad Pro/Plus, and the Apple Watch. The Apple Watch isn't set to ship until April, but I could easily see Apple announcing the prices and putting it up for pre-order 11 days from now. I'm also hoping that we'll finally see the iPad Pro/Plus, although I have to admit that we haven't seen enough leaks to suggest that it is ready to launch. And last but not least, I am expecting that Apple will reveal that the camera-equipped minivans seen in driving around Brooklyn and San Francisco are not a mapping project but are actually a rescue effort intended to find the Apple Maps beta testers which are still missing 4 years later. Alas, I won't be in Calif to see the event; I'll be in Toronto that week for the eBookCraft conference. If you're in the area, drop me a line. Google to Show Sponsored Apps in Google Play Search Results – Will eBooks Be Next?